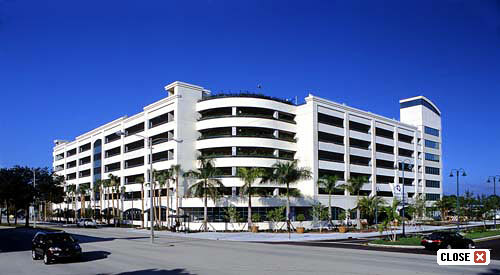 A new 1492 space parking garage is just what Broward General Medical Center in Fort Lauderdale needed. 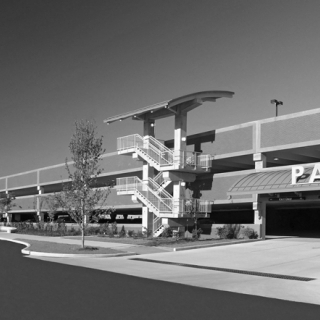 The new facility eliminated an existing parking problem and does so with south Florida contexturalism. Directly adjacent to Broward Medical Center, the new garage provides covered parking in place of the open surface lot previously located there. The 7 level structures utilized the spandrel/column faming system on the exterior and an IT-beam/column system on the interior. Twelve foot wide double tees with spans up to 62’-0” provide the deck. The use of curved spandrels, cornice & exterior setbacks created an impressive exterior façade. The north and south elevator towers feature sweeping curved spandrels at the top levels with green tinted glass between precast units. 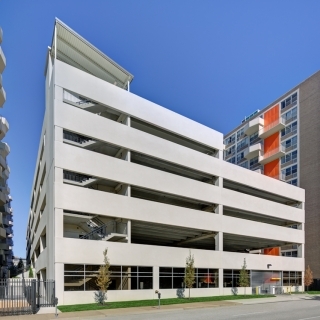 The same tinted glass is also used on the east and west elevations of the garage and matched the railing used throughout the garage. In order to showcase south Florida’s vegetation and landscaping, and to also help in “greening” the garage; a duel spandrel and span system was used on the southeast corner of the building to create large planters at each level of the garage. The 1’-0” thick curved spandrels and slabs provided planting areas with 2’-0” of soil and various types of vegetation. 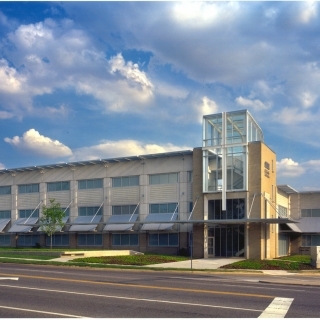 The project, which included 1634 pieces of precast concrete, was completed during the summer of 2003. Coreslab Structures of Miami provided the precast concrete products including the impressive white precast concrete exterior.